Aaron started dancing before he was born! His parents met at Israeli folk dancing in Los Angeles, and his childhood is filled with dance memories — from participating in his first dance camp at the age of two months, to acting as his father's "remote control" when he taught, to performing in Saturday night talent shows at the Camp Alonim for Jewish youth that takes place every summer just north of Los Angeles, California. In his first year at UC Berkeley, Aaron became one of the instructors and the curriculum developer for Jewish Studies 98: The Israeli Dance DeCal. In January 2009, Aaron joined the teaching and music DJ rotation at Cafe Simcha, a weekly Israeli dance session held near Berkeley. He also sporadically substitutes for Loui Tucker and Karina Lambert at the larger South Bay Israeli dance sessions. In October 2012, Aaron founded his own dance session, Nirkoda! ("Let's dance!"). After the first 10 months in a small studio on the Stanford University campus, the evening dance party was popular enough to require moving to a larger venue, Temple Etz Chayim in Palo Alto, California. Aaron’s first appearance as a staff member at a dance camp was Camp Rikud in 2016. A few months later, Aaron hosted a workshop, Nirkoda Mi'Nona, featuring Nona Malki, an Israeli dance choreographer and teacher from Vancouver. 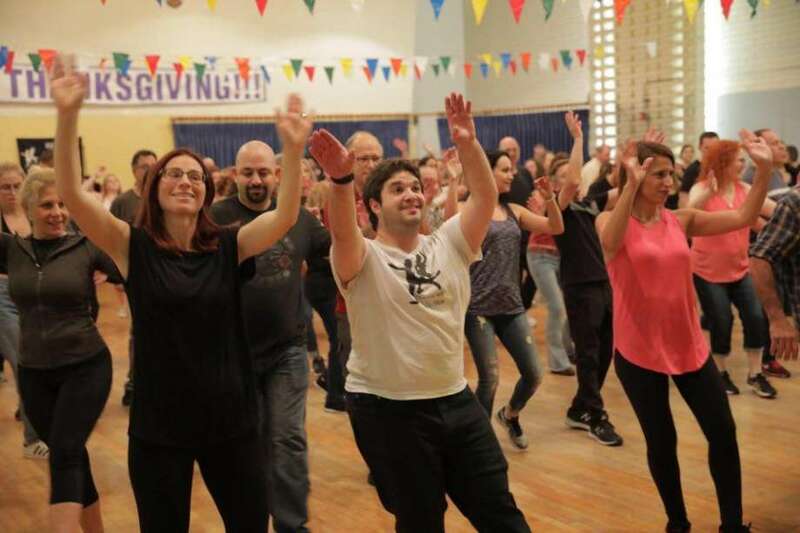 His next venture, Nirkoda Ba'Kerem, is a weekend-long Israeli dance camp in Santa Rosa, Sonoma County, California, that will include wine-tasting and a guest choreographer, Yaron Malichi, flying in from Israel.